Producing milk protein concentrates from skim milk involves a series of procedures such as ultrafiltration, evaporation, and spray drying. Ultrafiltration separates whole milk into skim milk and cream, removing the liquid to obtain small molecules of protein and minerals. Milk protein concentrates are normally produced in the dry, powder form, and can be used in various dairy and food products, including desserts and energy bars, which mainly drives the milk protein concentrate market. 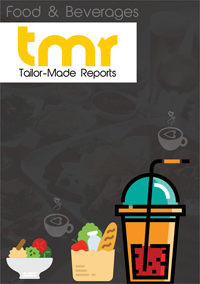 The key market players in the milk protein concentrate market features in the market report include Westland, Fonterra, Tatura, Erie Foods, Nutrinnovate Australia, Idaho Milk, Darigold Ingredients, Grassland, Paras, Glanbia, Enka S�t, and Kerry. In July 2018, Fonterra’s global dairy ingredients brand – NZMP announced that it will launch a new range of milk protein concentrates in the North American region. The company announced that the new product range will include fast-digesting milk protein concentrates and 14% high-protein ready-to-drink medical beverage. Fonterra also made announcements about its partnership with The a2 Milk Company (a2MC), which is mainly aimed at expanding company’s existing product range that includes recent additions such as low-lactose, organic and high protein milk products. Westland Co-operative Dairy Company Limited – a New Zealand-based stakeholder in the milk protein concentrate market – recently announced that it has signed a Memorandum of Understanding with PT Sanghiang Perkasa (Kalbe) – a health and nutrition company based in Indonesia. The company aims to build a strong presence in South East Asia by leveraging Kalbe’s reach across a large consumer base in the region. Idaho Milk Products, another US-based player in the milk protein concentrate market recently declared its plans to expand its milk processing facility in Jerome, Idaho by one-third. The company also announced that it will invest nearly US$ 26 million in the expansion of the facility in order to accommodate an additional 1 million pounds of locally sourced milk each day. An alarming rise in the prevalence of lifestyle diseases, such as cardiovascular diseases and diabetes, is encouraging consumers to adopt healthier eating habits. The recent developments in the milk protein concentrate market are mainly attributed to the palpable shift in dietary habits of a large consumer base, which is inclined towards food products with more nutrition. Furthermore, the fast-paced lifestyle has been attributed for the increasing trend of healthy snacking. Growing popularity of nutritious food products for on-the-go snacking is emerging as a prominent trend among young-adult consumers. Leading players in the milk protein concentrate market are capitalizing on the increasing demand for healthy snacks and improving profitable sales of milk protein concentrates with the rapidly-multiplying number of health-conscious consumers worldwide. The health and wellness trend is on the rise among consumers across the world, especially in developing countries. Growing prevalence of obesity is triggering consumers to engage in physical fitness activities and concentrate on obtaining specific nutrients to accelerate weight loss processes. The belief the consuming more proteins can speed up fat loss is taking roots among consumers, which is likely to augur well for the milk protein concentrate market. New-generation dairy ingredients, such as milk protein concentrates, hold great potential for foods and beverages with high protein content, thereby leading players in the milk protein concentrate market are aiming to capitalize on the substantial rise in demand for high-protein foods by targeting leading players in the food & beverage industry. Being a raw material dependent market, the growth and development of the milk protein concentrate market is mainly influenced by the supply and prices of milk, which is the primary raw ingredient used in the manufacturing of milk protein concentrates. A variety of factors that impact the milk industry and dairy prices remain instrumental in driving or impeding growth of the milk protein concentrate market. Thereby, uncertainties associated with milk prices and supply continue to remain a prime challenge for milk protein concentrate market player.